DEARBORN, Mich., Nov. 13, 2015 – With Old Man Winter on his way, Ford vehicles are ready to meet the harsh demands of extreme cold and heavy snow. 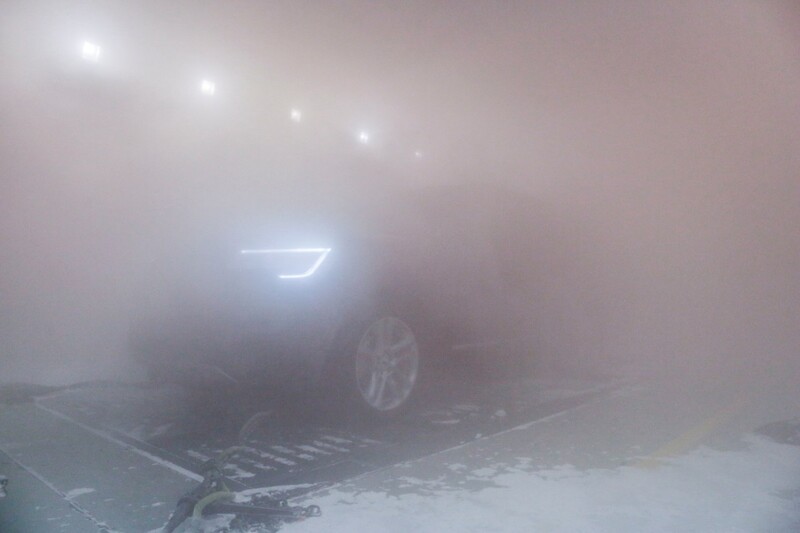 That, in large part, is thanks to the company’s climatic wind tunnel, which tests the winter-readiness and reliability of Ford vehicles in blizzard-like conditions. Ford moved snow testing to the Allen Park, Michigan facility in 2006. The climatic wind tunnel allows Ford to take cold weather testing off the roads and conduct it inside, where engineers can replicate wintry conditions year-round. At the facility, all Ford vehicles – from F-150 to Fiesta – are subjected to worst-case winter scenarios so they are prepared to navigate snowstorms. Engineers simulate conditions from extreme freezing to blistering desert temperatures, from as low as minus 40 degrees Fahrenheit to as high as 130 degrees Fahrenheit. Wind testing conditions can reach hurricane-like speeds of up to 125 mph, blowing snow at the front of the vehicle to simulate a blizzard. To simulate worst-case scenarios, Ford vehicles are required to carry a full load of passengers and cargo. Some are made to tow heavy loads in these conditions. Since snow can choke a vehicle’s engine, engineers continuously monitor air intake. The team also checks whether shift linkages freeze up, and where on the vehicle snow accumulates. Besides a four-hour test in the climatic wind tunnel, Ford vehicles also undergo two days of snow-related testing in the Upper Peninsula of Michigan, near Sault Ste. Marie. Ford prepares its vehicles to conquer winter with a stellar set of features, including a heated steering wheel, and heated front and rear seats available for Ford Explorer, as well as front and rear camera washers. What’s more, Explorer’s intelligent four-wheel drive with Terrain Management System™ reassesses conditions about 20 times faster than the blink of an eye, providing precise handling and traction. The driver uses a dial on the center console to shift on the fly, selecting among four terrain management modes – normal, sand, mud and, of course, snow. Ultimately, these features, along with the performance and endurance tests all Ford vehicles undergo, help ensure each one will perform safely and reliably – no matter the weather.